Language Arts: "Mini Grammar Books"
I love using mini books with students. Besides being adorable, mini books create an easy reference text for students. Can't remember how to form the progressive form of the verb (or what it is...really, how many adults don't have to look this up! ), just refer to your mini grammar book of verb tenses. There it is! This product gets students engaged in creating their own mini "textbooks." 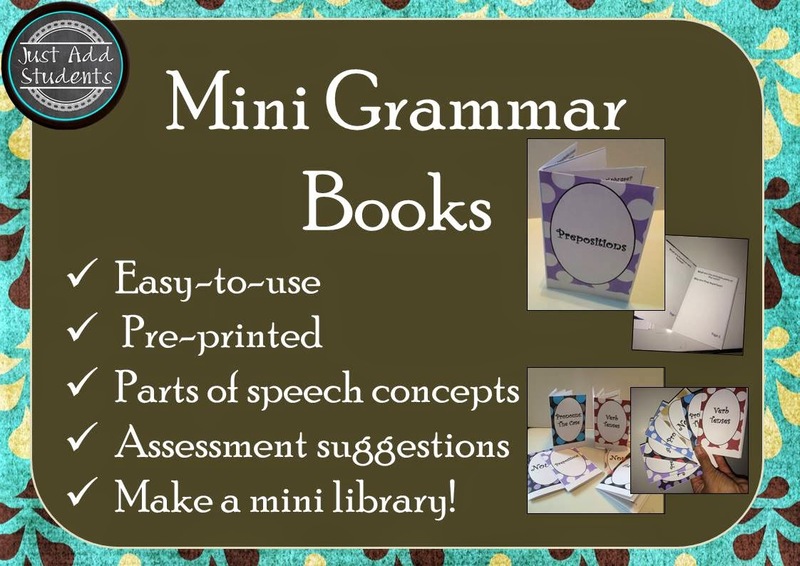 These are printable, foldable mini books that students can use to take notes on complex grammar concepts like perfect or progressive tenses or pronoun case. Printed headings on each page guide students in organizing the information they need to know. An answer key for each mini book will help teachers quickly access information students need to know. By allowing students to create their own grammar resource, they learn to go back to their notes and look for content. When students interact with the text, they deepen their understanding. A great way to teach students the value of note-taking!